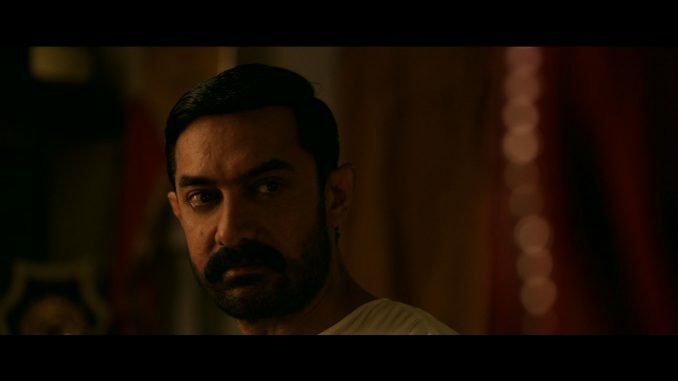 HomeCinemaMasalaAamir Khan’s Dangal trailer crosses 25 million views! Aamir Khan’s Dangal trailer crosses 25 million views! With the launch of the trailer, Aamir Khan’s Dangal has been generating tremendous buzz. Upon it’s release, the trailer did not only prove to be a talking point in India but was a trending topic Worldwide, with it trending high under the trends of the world on Twitter. Having a power packed onset, the trailer has been witnessing a visible high. Aamir Khan’s Dangal trailer has already crossed 25 million views across platforms during the weekend. Dangal trailer, having a high dose of emotions has been winning accolades from across quarters. The crux of Mahaveer Phogat’s biopic, the Father-Daughter story has struck chords with the masses worldwide. The effect of the trailer has been long lasting with it witnessing sustenance across digital platforms. The trailer of Dangal continues to be one of the top most trending content pieces on Youtube too. Youtubers overseas are also actively participating and reviewing the trailer. The trailer also has a very negligible ratio of likes to dislikes on the platform, with less than 2% of the 25 million viewers disliking it. From motivational picture posts, to largely popular dialogues, Dangal’s trailer and its scenes are being used to create many points on digital platforms. Disney presents, Aamir Khan Productions ‘Dangal’ produced by Aamir Khan, Kiran Rao & Siddharth Roy Kapur and directed by Nitesh Tiwari is slated to release on 23rd December, 2016.